You really should find a wine to 'pair' with tonight's show. 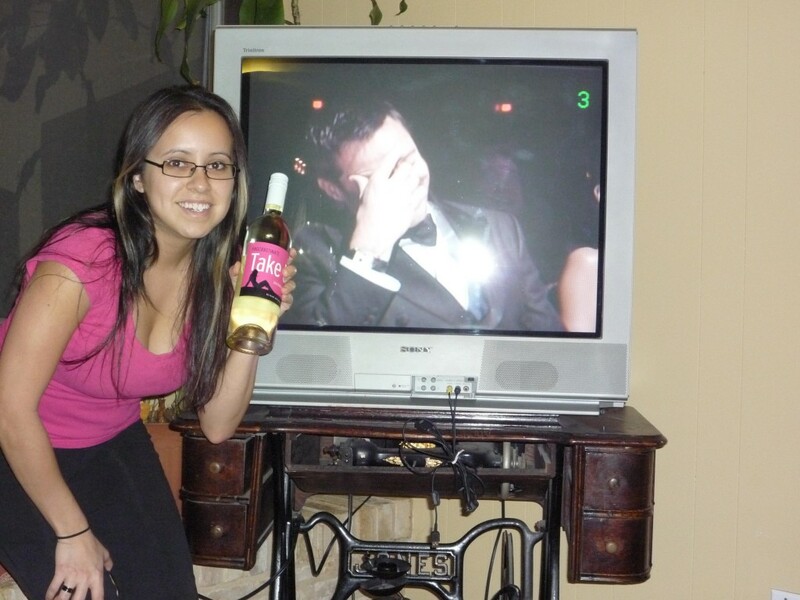 About 20 minutes before the 83rd Annual Academy Awards began, I said to myself, “Self, you are a wine blogger. You really should find a wine to ‘pair’ with tonight’s show.” So I went to my wine rack to see what I had … then I had a sobering moment when I realized my wine rack is sobering-ly empty. So I decided to make a mad dash to the nearest wine store, but it being Sunday in Texas, most places to get good wine are closed or too far away from me. So I had to resort to Plan B, my neighborhood grocery store chain called H.E.B., or as we so lovingly refer to it here in my part of San Antonio, “Ghetto B”. (One day I need to take a video cam into this grocery store. It is ghetto fabulous like no other). Their wine selection is about as ghetto fabulous as the people who shop there, but hey .. desperate wine times sometimes call for ghetto fabulous measures, hahaha. 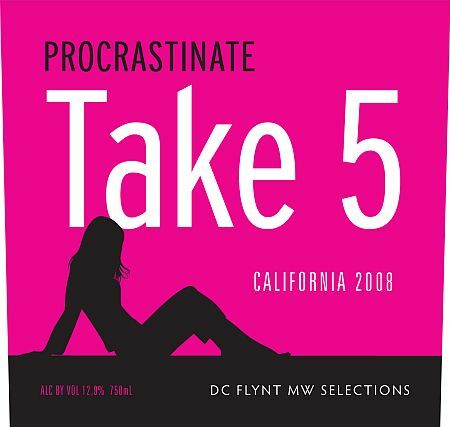 In any case, Procrastinate ‘Take 5’ wine is actually quite enjoyable for being an ‘eye-catching label’. It is made from 5 different grape varieties. It has the aromas of a tropical fruit basket one might receive in their hotel room on a tropical island resort – mango, cantaloupe, pineapple, grapefruit, apple, orange, garnished with a honeysuckle bouquet :) I think this wine is also a good find because it can be enjoyed by those who prefer dry wines and yet still appreciated by those who prefer a ‘sweeter’ wine. Next Next post: Vinously Speaking is back up and running! !